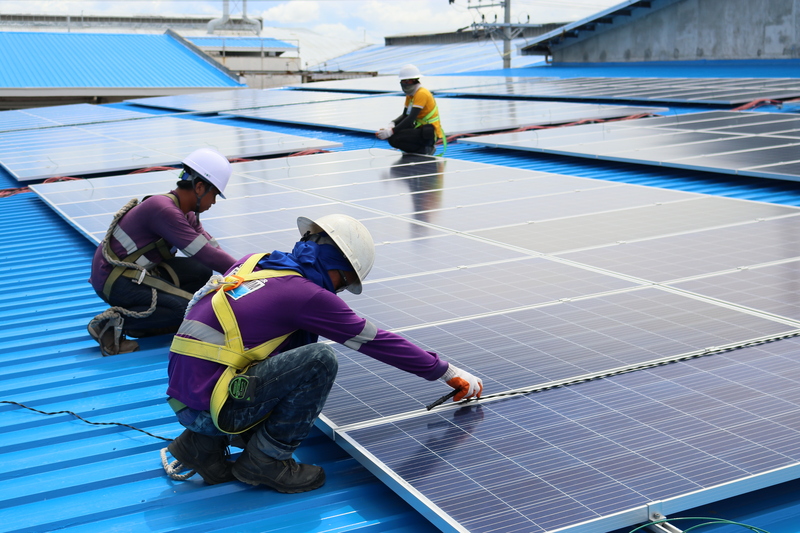 VIVANT ENERGY CORPORATION SUBSIDIARY ET VIVANT SOLAR ASSISTS CEBU-BASED MANUFACTURING COMPANY TREASURE ISLAND INDUSTRIAL CORPORATION (TIIC) IN MEETING ITS AIM TO CONVERT TO SUSTAINABLE ENERGY BY INSTALLING SOLAR PANELS. The solar rooftop technology can generate 1400 kWp of renewable energy, which located in TIIC compound in Barangay Tingub. TIIC’s Packaging Division iPak manufactures plastic and metal packaging materials, containers, pouches, caps, selas, and labels for local and international customers. The company also manufactures Island Paints and automotive paints and chemicals. Treasure Island and ET Vivant sealed a power purchase agreement, which is a 15 year contract. The ET Vivant joint venture was formalized in December 2016 as part of their move to further its renewable energy investments through subsidiary Vivant Renewable Energy Corporation. Vivant Energy provides energy services in Luzon, Visayas, and Mindanao.